It's been twelve years since the Concorde was retired, and we're still waiting for the next generation of supersonic aircraft to come along and facilitate the uber-rich. Airbus, however, now has an ace up its sleeve…a patent, actually. It took four long years, but European aerospace giant Airbus has finally had a patent granted by the US Patent and Trademark Office for its own ultra-rapid jet. Capable of travelling at speeds of up to Mach 4.5 (four-and-a-half times the speed of sound), it could fly from London to New York in an hour. To put that into perspective, traditional commercial aircraft currently take around seven hours to travel between the two cities. Airbus claims it will be able to move at twice the speed of Concorde, which cruised at 1350 miles per hour before it was retired in 2003. It would take off vertically with rockets, like a Space Shuttle, and then wing-mounted ramjets would propel the aircraft to its destination. It's not for the average Joe, though. 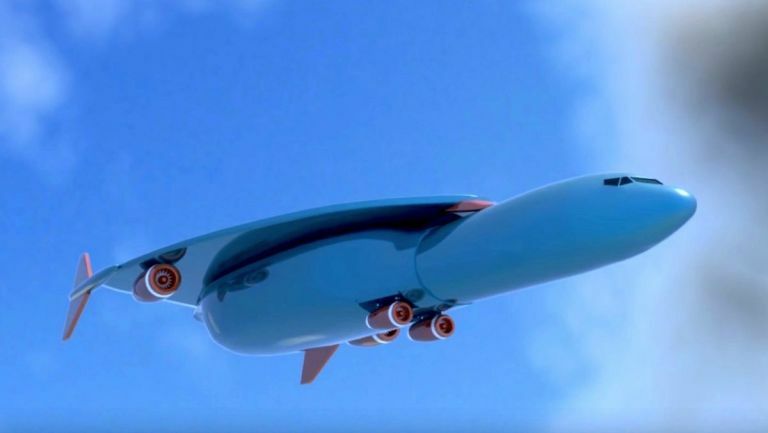 Airbus says the aircraft would primarily be for "business travel and VIP passengers, who require transcontinental return journeys within one day”. While the patent is filed, it's far from a guarantee. We've seen many ambitious patents over the years that haven't come to fruition, so we'll see how it pans out. If you want to know more about Airbus' supersonic jet, then click here to watch a short video by YouTube channel PatentYogi explaining the invention further.